The sunny sea view rooms welcome you to Makrigialos. In our facilities you can enjoy relaxing moments with your partner or your family, since the shallow waters of the beach are ideal for children. The golden sand, the view of the Aegean Sea and romantic and modern style of our rooms will excite you! For your entertainment there are nearby magnificent café-bars and traditional taverns. 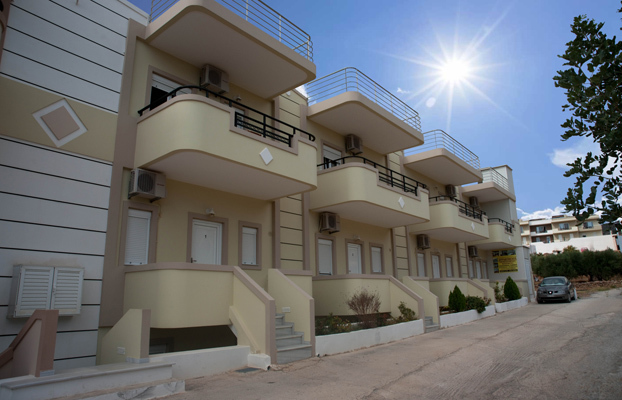 Also within walking distance are tourist shops, supermarkets, gas station, pharmacy and water sports! For those staying in Makrigialos, the surrounding mountain villages are ideal for day trips or evening strolls. Also interesting option is the Moni Kapsa and the woods of Koutsouras. 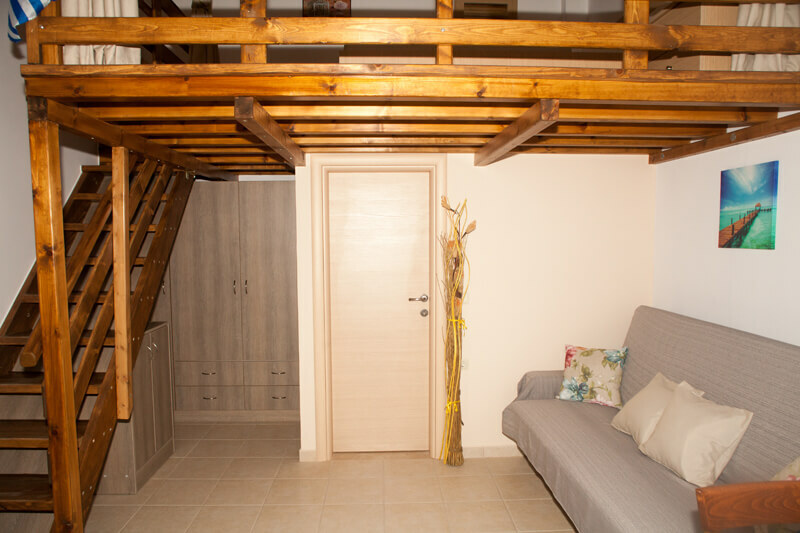 It features a terrace with sea views and romantic attic 8 m² with double bed. On the lower space (20 sqm) located couch for 2 people for bookings of 3 or 4 people. 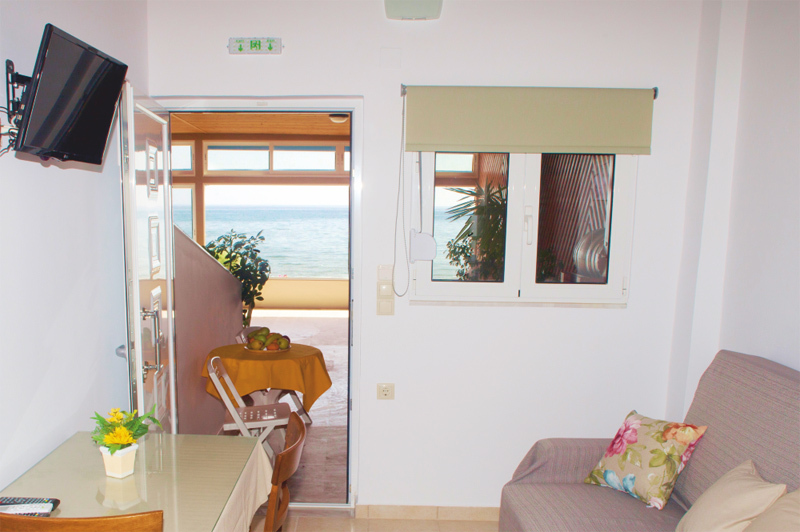 We have also Apartments (50sqm) 65 meters from the sea, fully equipped for a dream holiday! 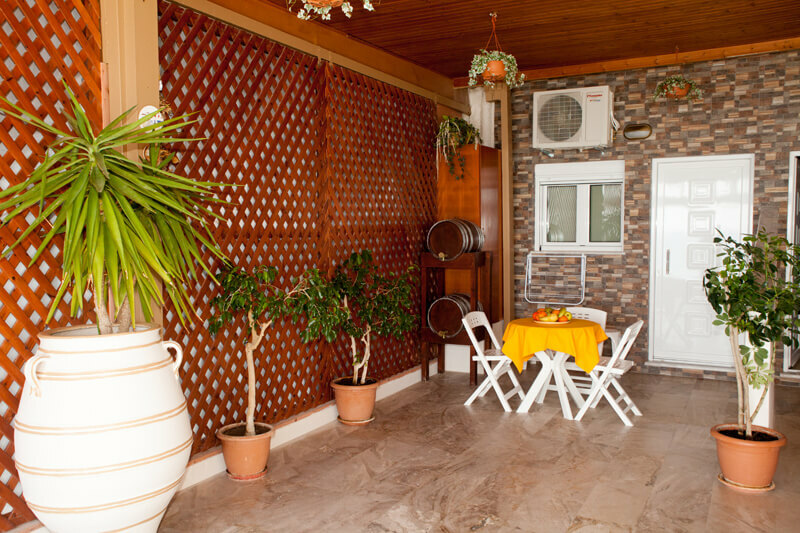 Our rooms for rent sunny rooms n Makry Gialos is not just near the sea but right on the beach! Enjoy your drink or your coffee overlooking the Libyan Sea. We have a fully equipped kitchen with large refrigerator, kitchen, oven, toaster, kettle and all necessary utensils for your cooking! The rooms Sunny Rooms have satellite TV channels from around the world still burned the most demanding customers. See the channel like you're home. Free wireless internet, air conditioning, deck chairs and beach umbrellas, large parking area and a spacious bathroom with glass shower cabin for enjoyment and in the bathroom. 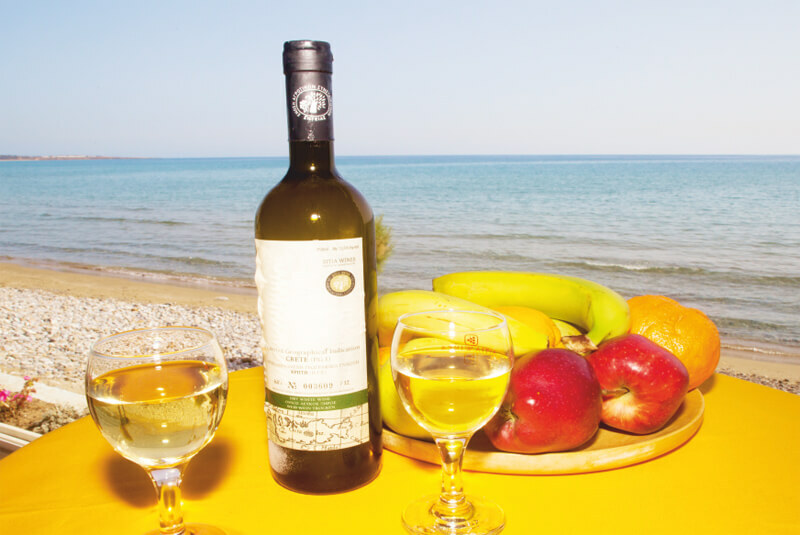 Sunny sea view rooms welcome you to Makrigialos. In our facilities you can enjoy relaxing moments with your partner or your family. Our beach is ideal for children. The golden sand, the view of the Aegean Sea and romantic and modern style of our rooms will excite you!